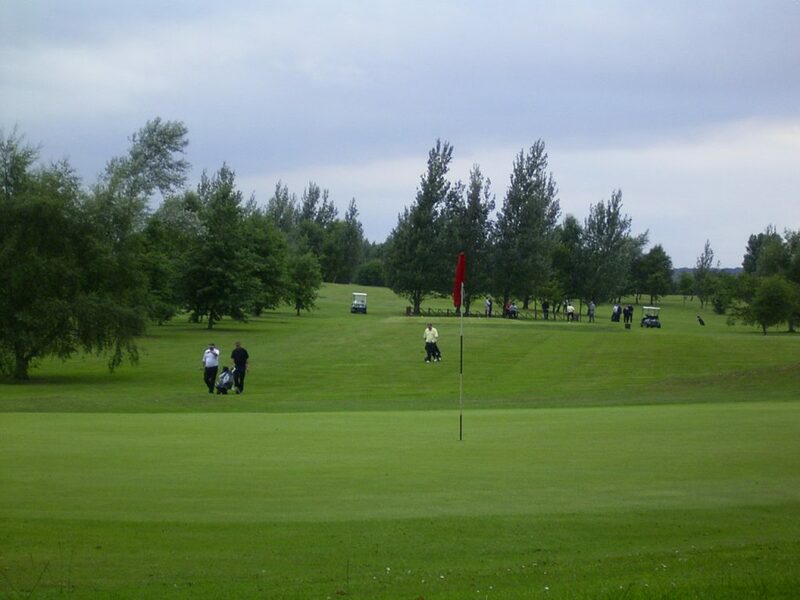 The courses (18 hole and 6 hole pitch and putt) are maintained by a team of 4 – Alan Smith (Head Greenkeeper), Tony Callan (First Assistant), Trevor Palmer (Assistant) and Craig Stringer (Apprentice). 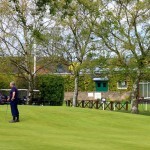 They are a dedicated team and work tirelessly to keep the course in tip-top condition. 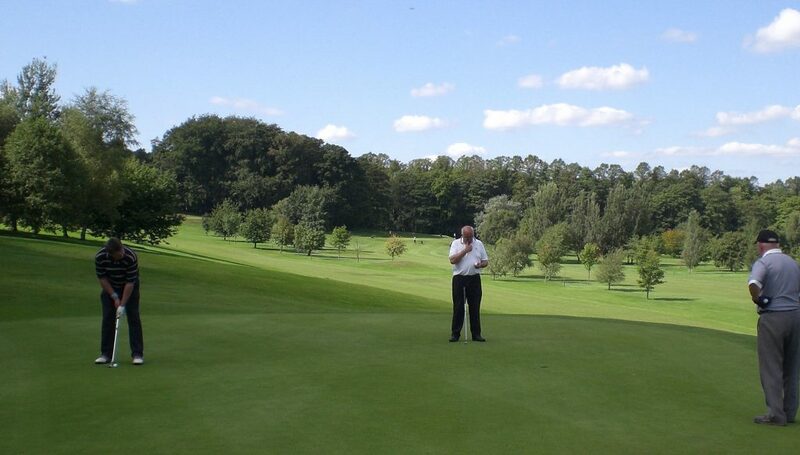 Alan started as an assistant green keeper in 2004 and was appointed Head Greenkeeper in 2012. He has qualified to NVQ level 4 standard. 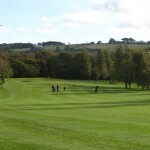 He is very environmentally friendly and makes every effort to minimise the use of chemicals and pesticides on the course. Tony has been with the club for over 15 years and attained NVQ level 3. Both Trevor and Craig are into their 2nd year of their careers in green-keeping and are leaning fast under the guidance of Alan. 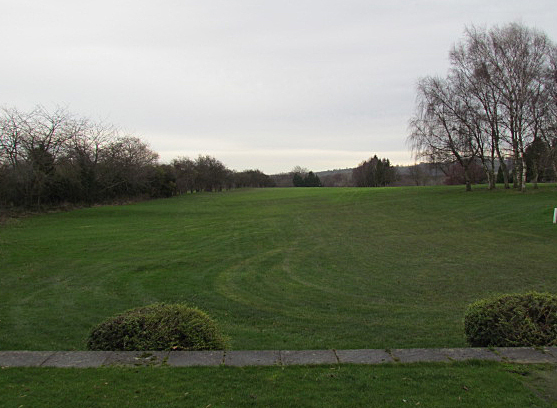 With the winter’s getting wetter, great efforts are being made to improve the drainage on many parts of the course. 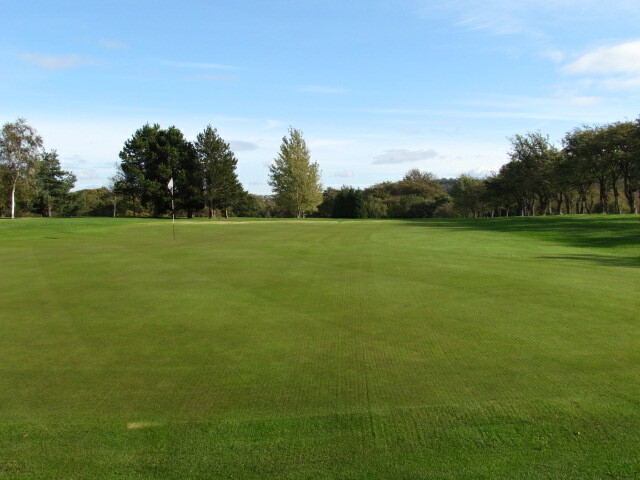 The biggest improvement to date as been on the greens – in fact we were able to play on full greens during the winter of 2013 and since then it has become a common theme. 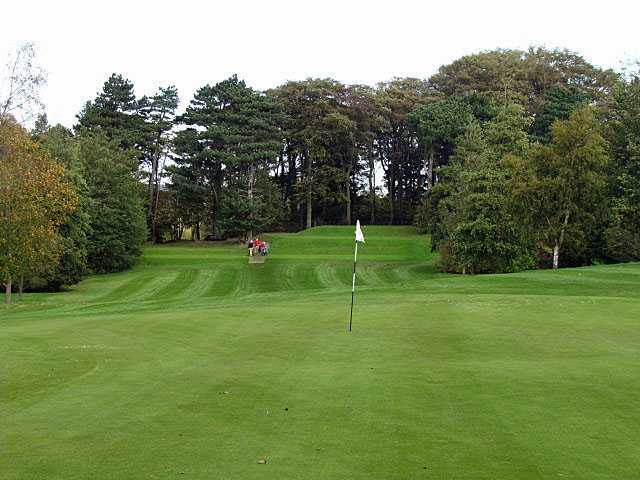 Since 2014 we make frequent use of a “greens iron” to help us make the greens run true and very quick – beware! 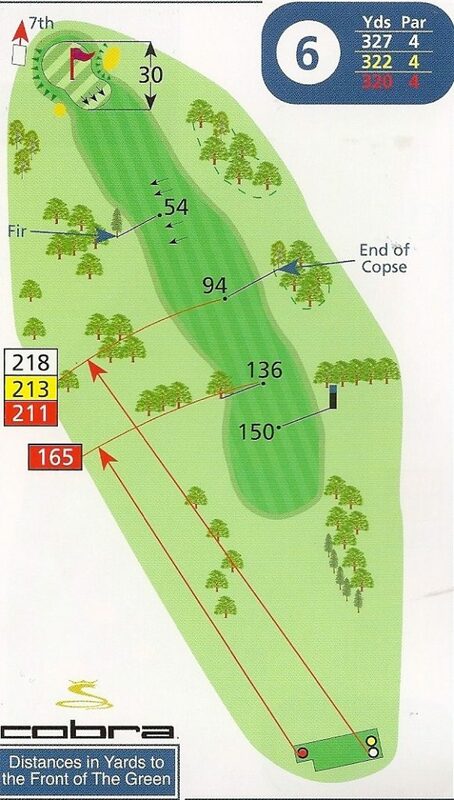 The score card and map of the course are shown below. 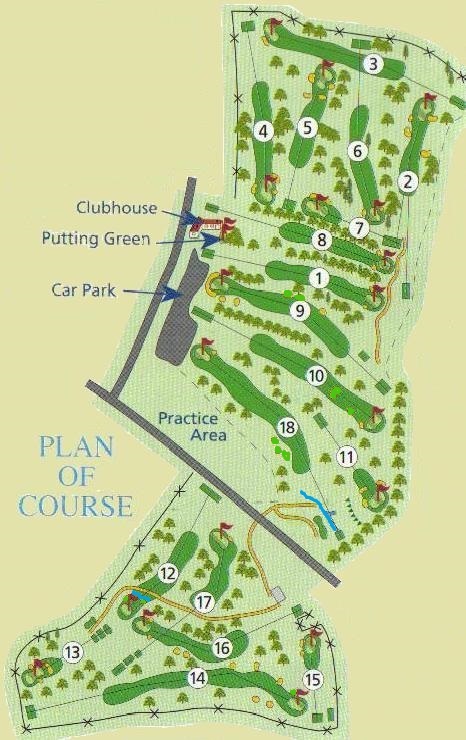 For each hole we have included a map along with a photograph of the teeing area, approach and green where they are available. 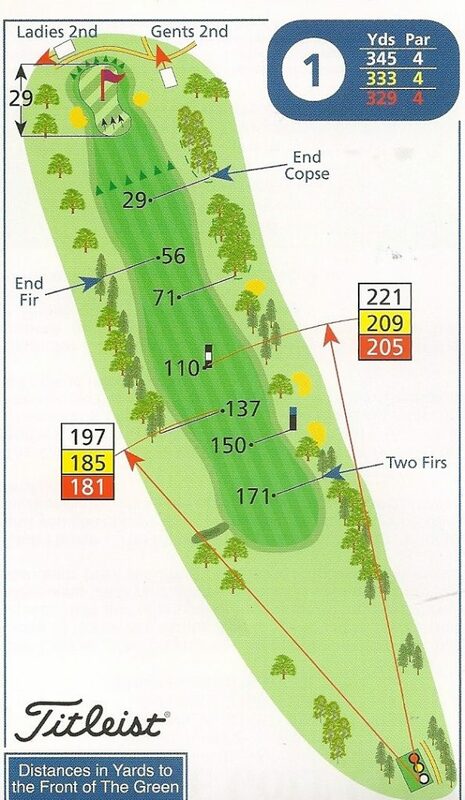 Improved images will be added to complete a full set for each hole. 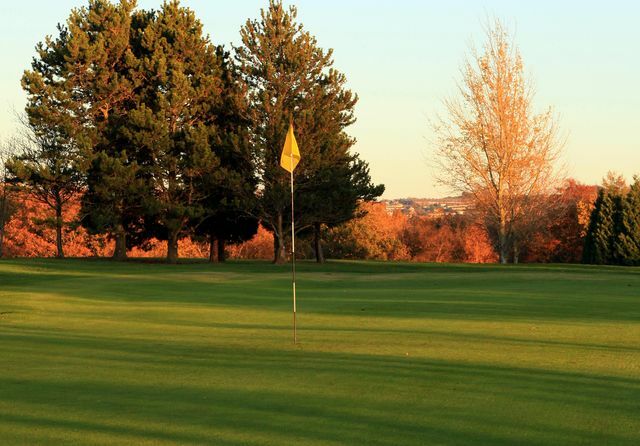 If you are interested in sponsoring a hole click here. 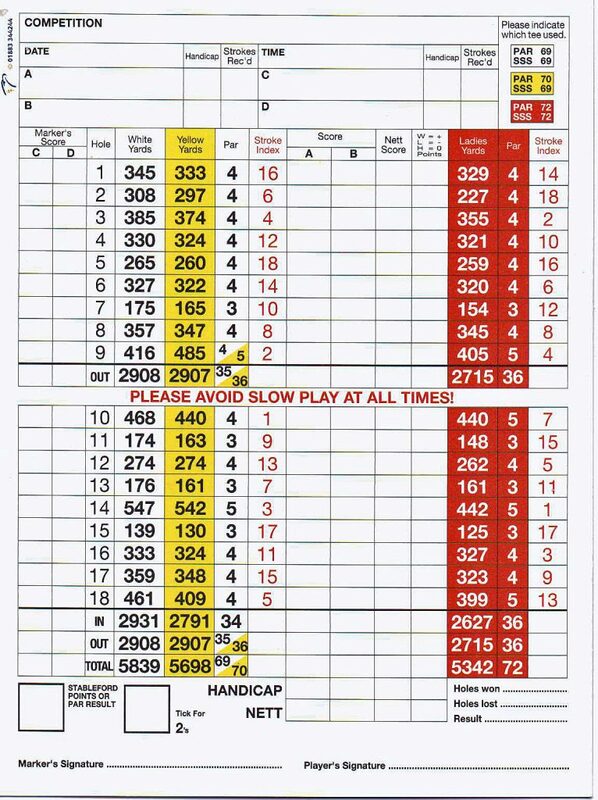 Click on the hole numbers below to see photos and read a little bit about them. 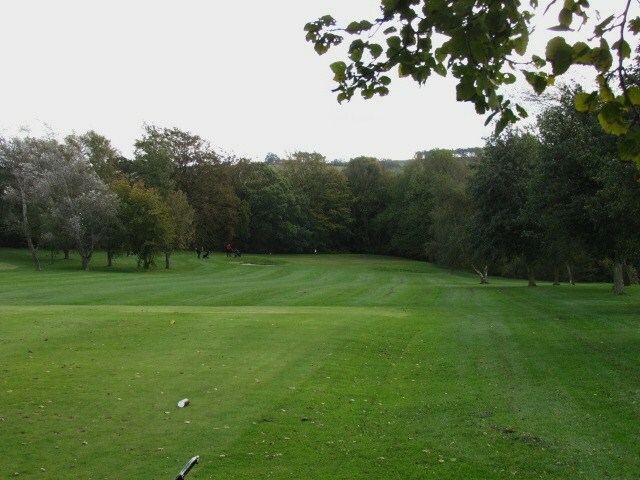 Not a long hole but it is a narrow tree lined fairway! 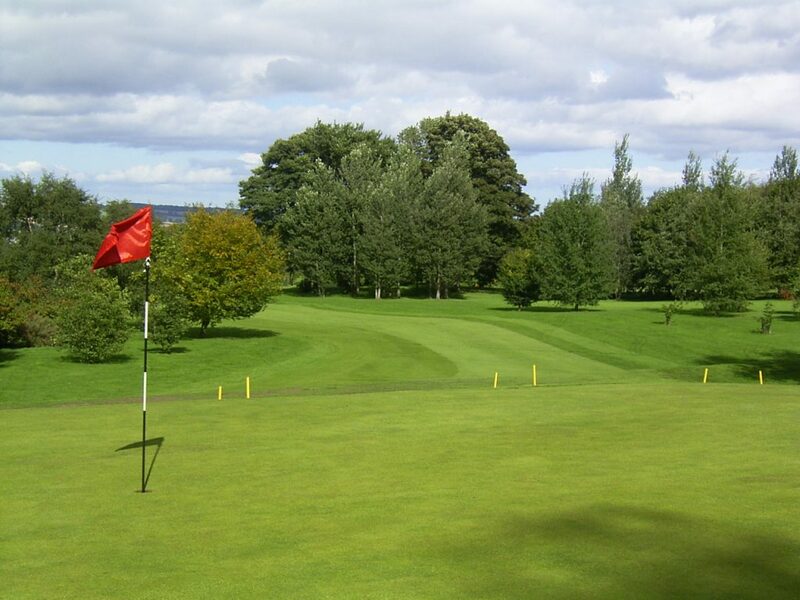 Aim for the centre of the fairway and a decent shot will leave you with a mid / short iron to a small green guarded by a bunker on the left. 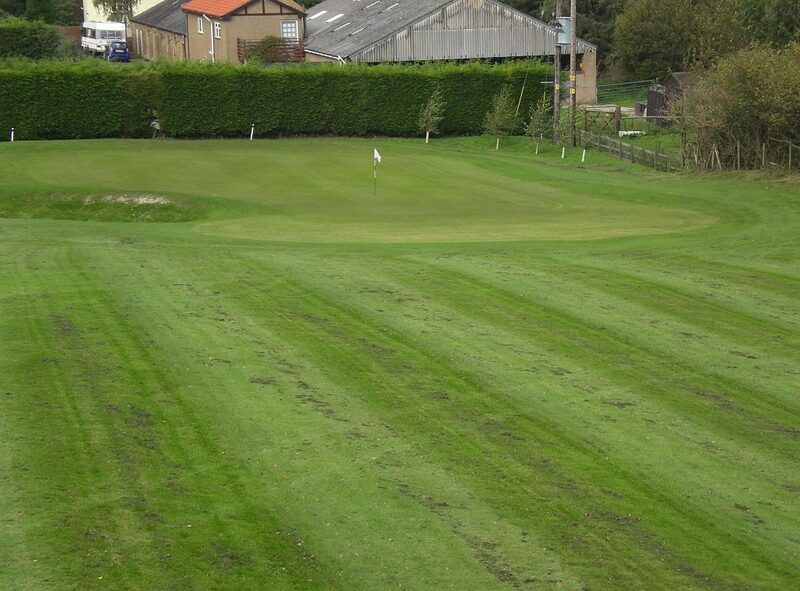 Careful you do not roll off the back of the green! 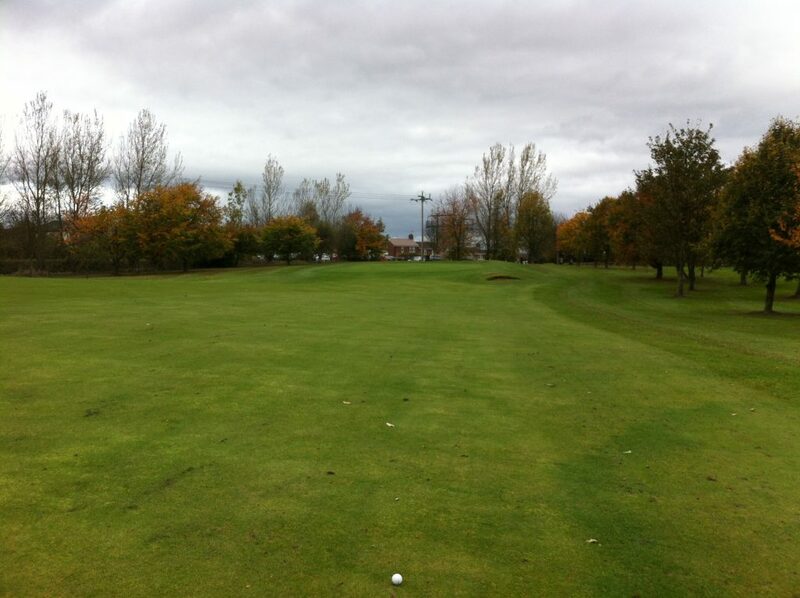 Less than 300 yards but a daunting tee shot with out of bounds down the right hand side! 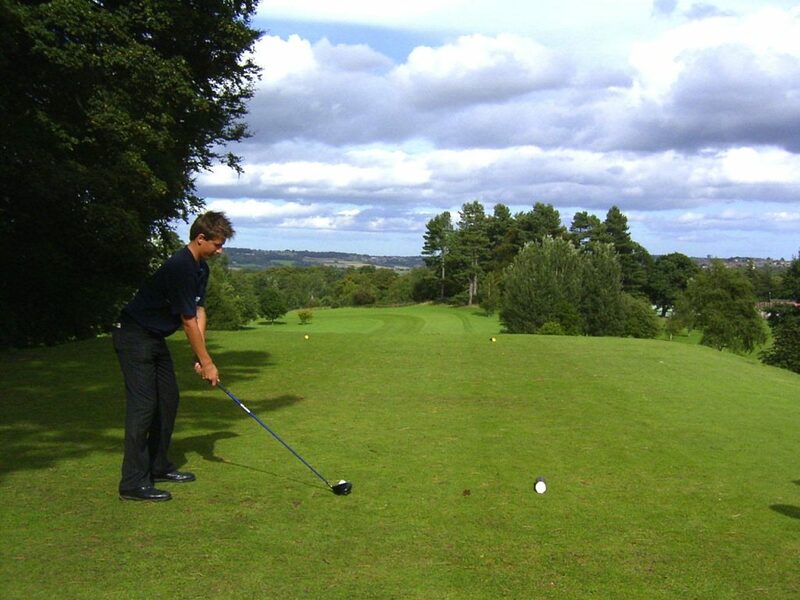 If your confidence is high, then pull out the driver, if not take an iron just to get over the trees and onto the fairway. The fairway is generous but there are 3 bunkers around the green. 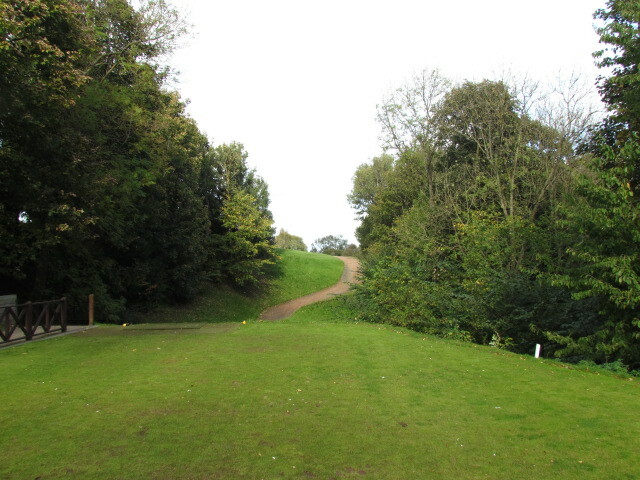 A blind tee shot hole with all the danger is on the right – out of bounds. 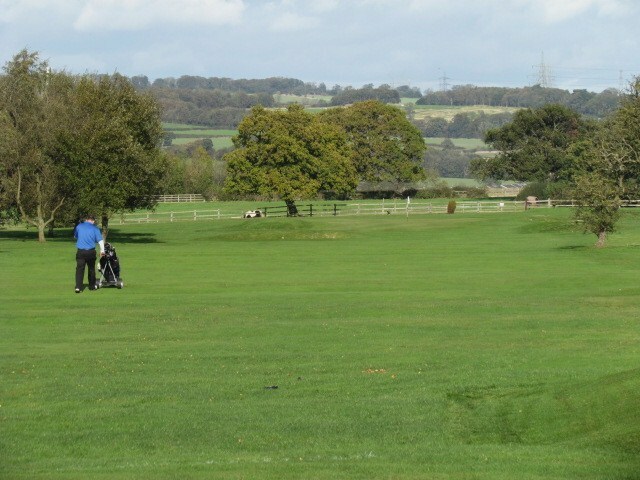 Aim for the centre of the fairway but if you are a monster hitter aim left or right of centre depending whether you draw or fade the ball. 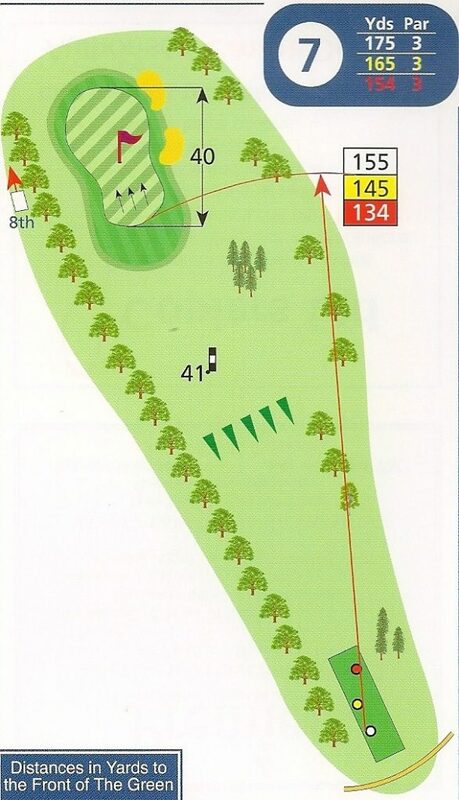 Tall trees protect the green on the right and a bunker guards the green on the left. The hole is set out before you. 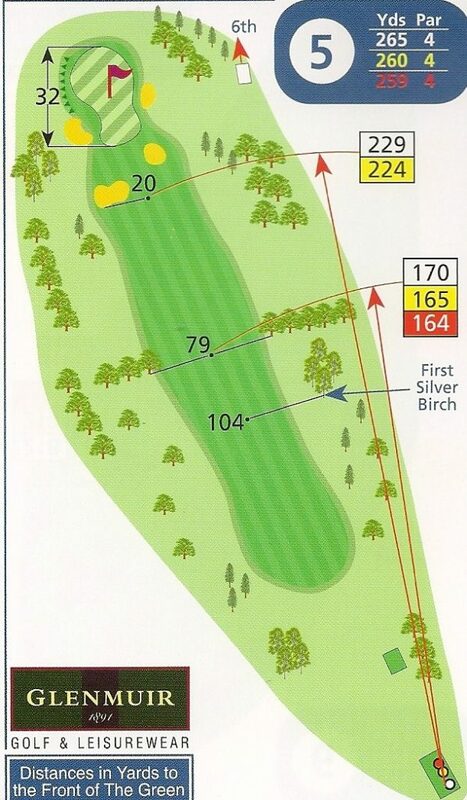 Avoid the trees on the right with your tee shot. 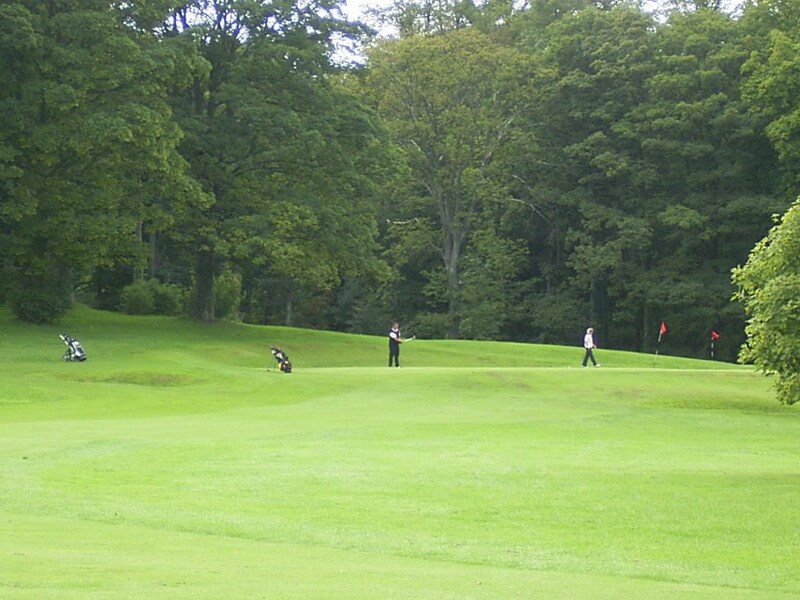 A long green protected by 2 bunkers, is very quick. 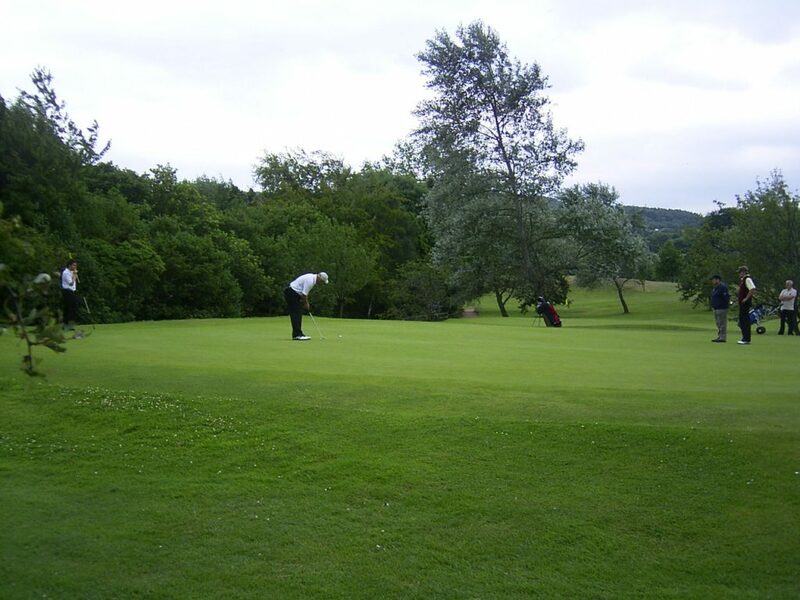 Try and avoid a downhill putt otherwise a three putt could be the danger! 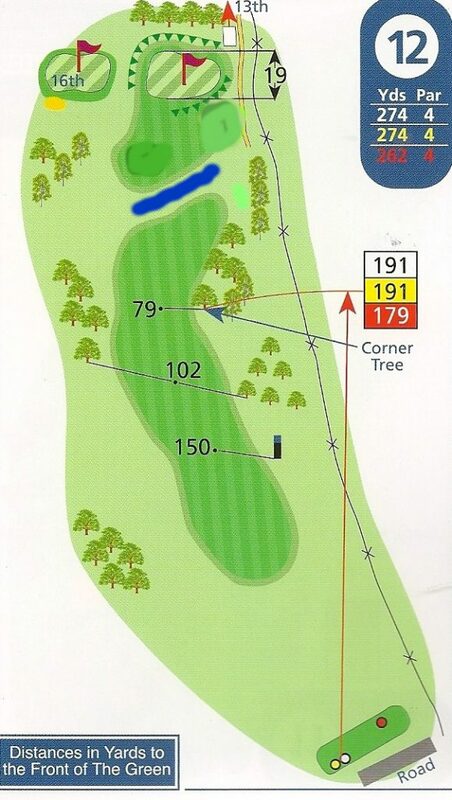 First par 3 at 175 yards and a blind tee shot. 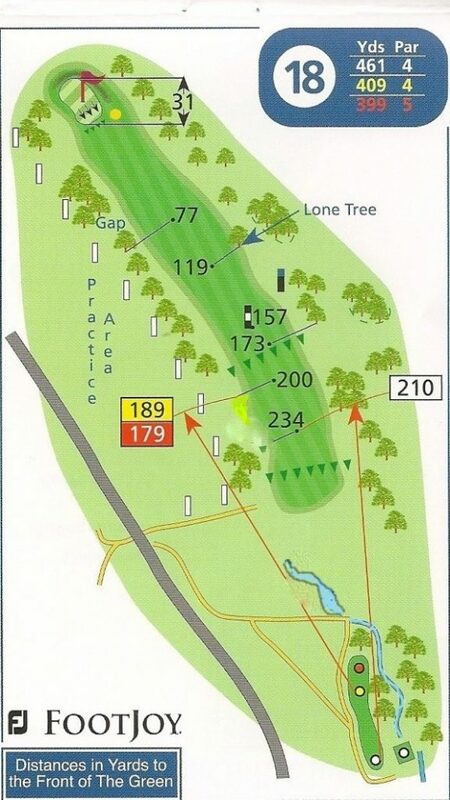 There are 2 bunkers to the right of the green. 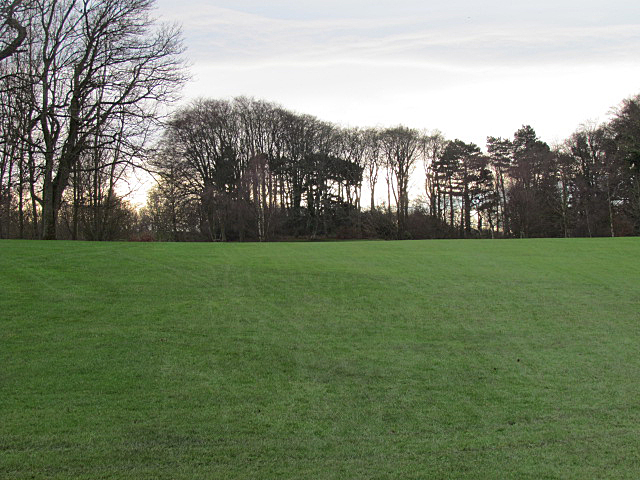 The green slopes from front to back and right to left – it is also very fast! A birdie here is a bonus. The tee box is close to the clubhouse. 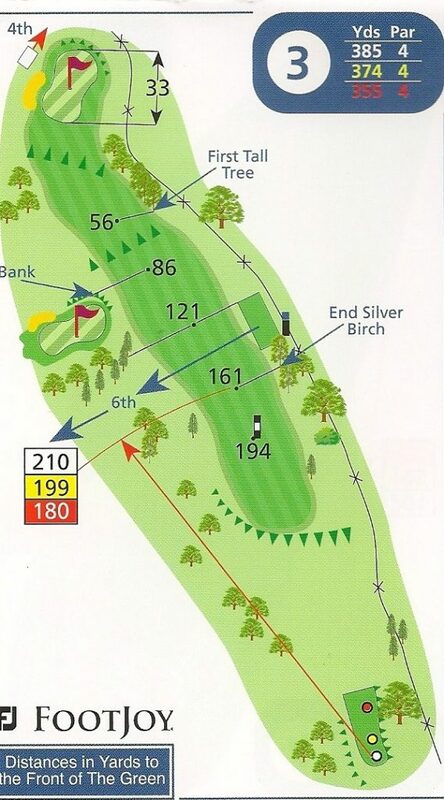 A blind tee shot, aim for the centre of the fairway and a good shot should leave you with a iron shot to the green guarded by bunkers left and right. 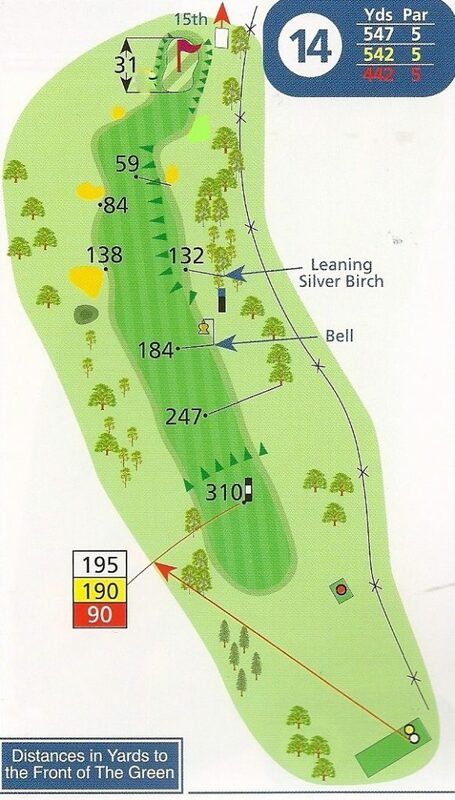 It is downhill to the green so be if you pitch it short you could roll through and off the back! 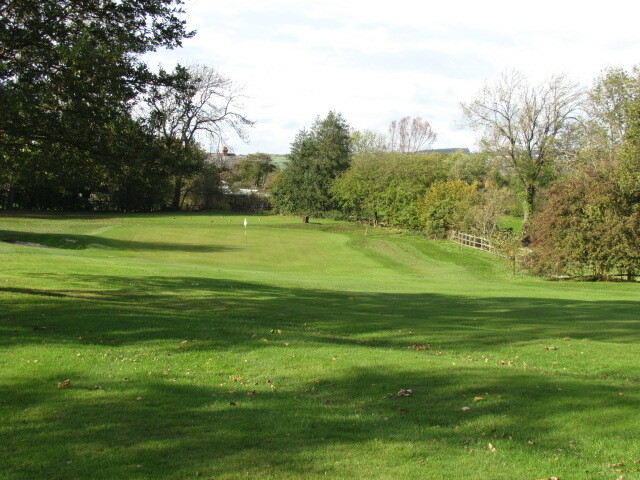 Played from the white tee it is a classic par 4- 405 yards. 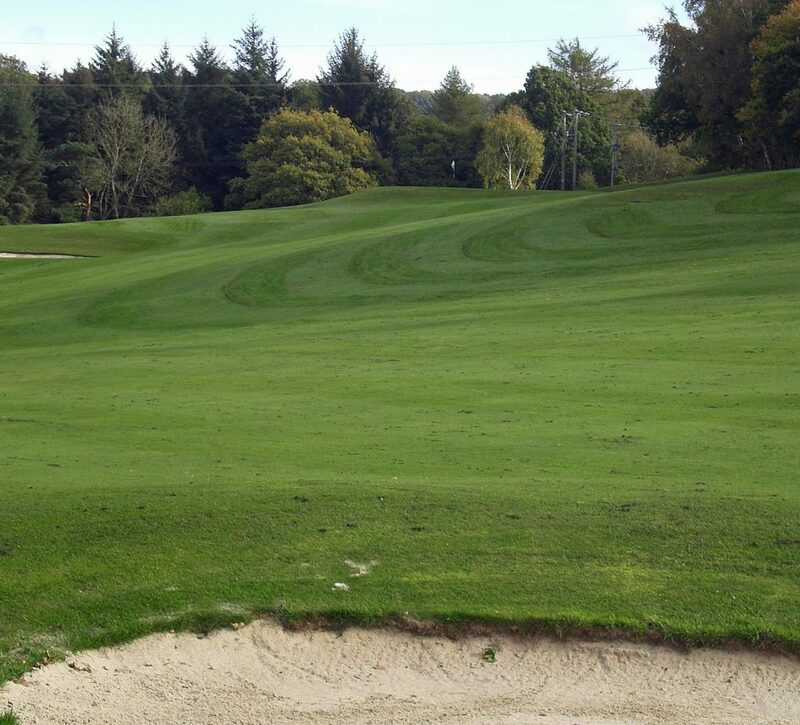 Three bunkers, 2 hidden from the tee, catch the drive hit up the right. Two bunkers one close to the front and one green side left give the two tiered green some protection. 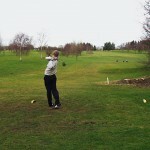 The hole is played into the prevailing wind. 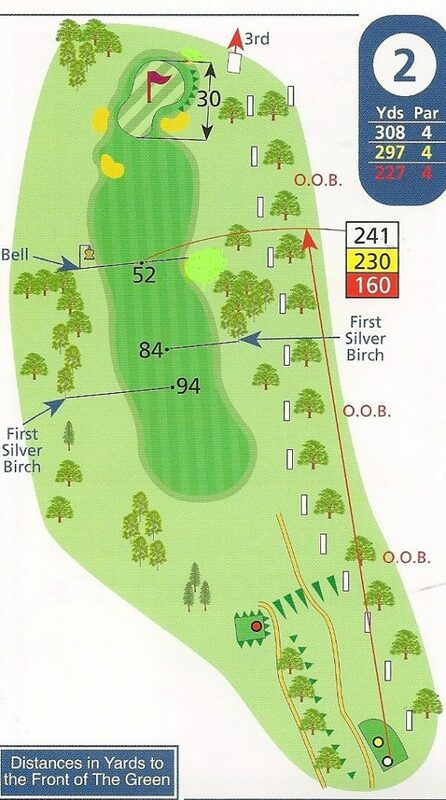 Played from the yellow tee it is a par 5 – 495 yards and the hole is more of a dog-leg. 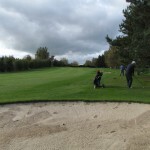 A long carry to the fairway with a bunker to avoid from the tee. The bunker close the front of the green may come into play for the second shot. 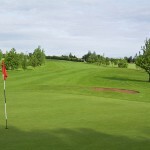 You are close to the clubhouse, ideal if you are playing 9 holes. 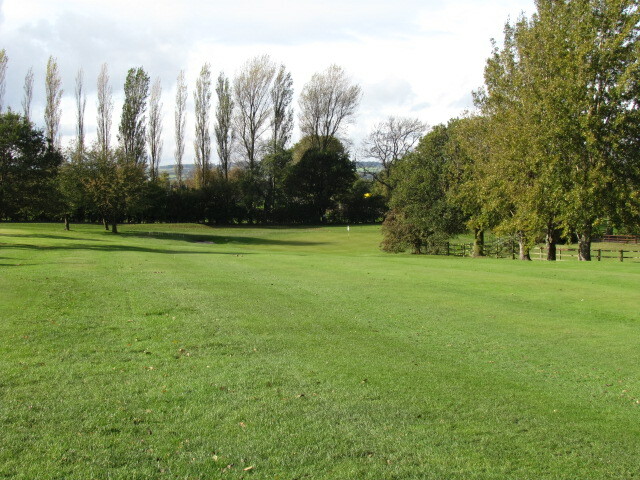 The photograph above is taken from the yellow tee. 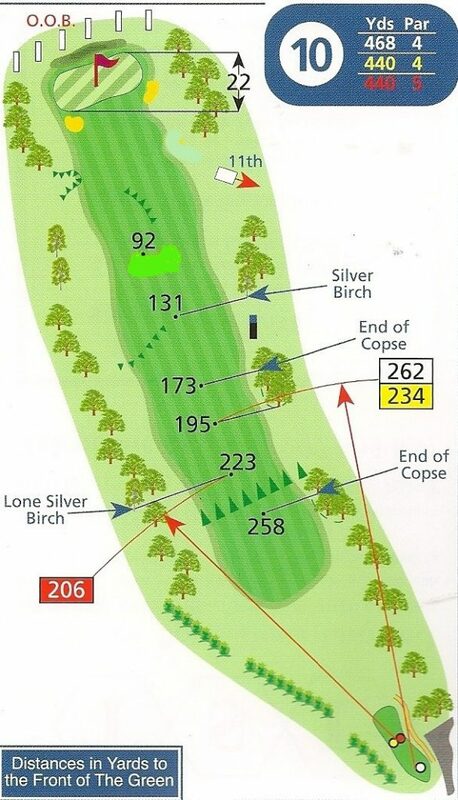 At 460 yards a long par 4 but it is downhill and the prevailing wind may give you some assistance. For mid hitters a cross fairway bunker may catch the second shot. 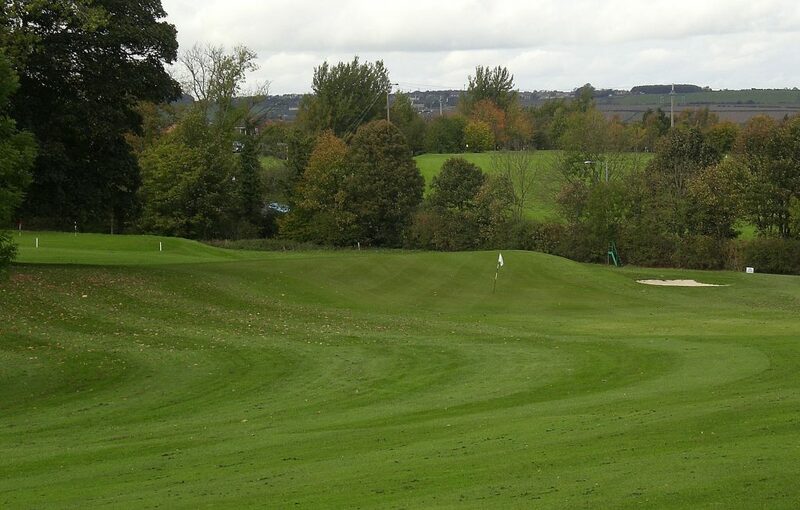 The green which slopes gently uphill is protected by bunkers left and right. 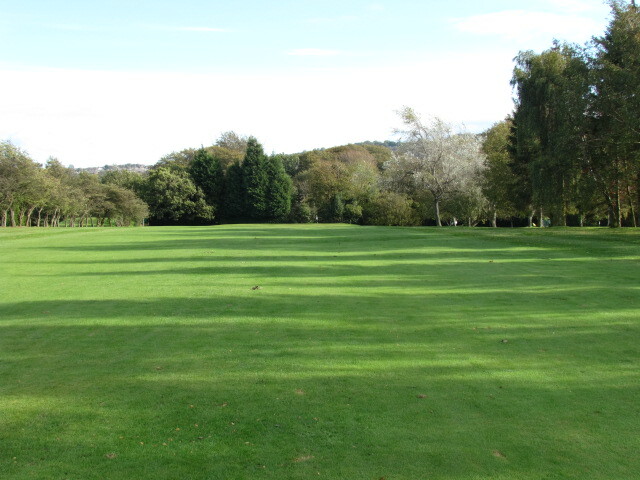 The second par 3 with the green set in front of mature trees. 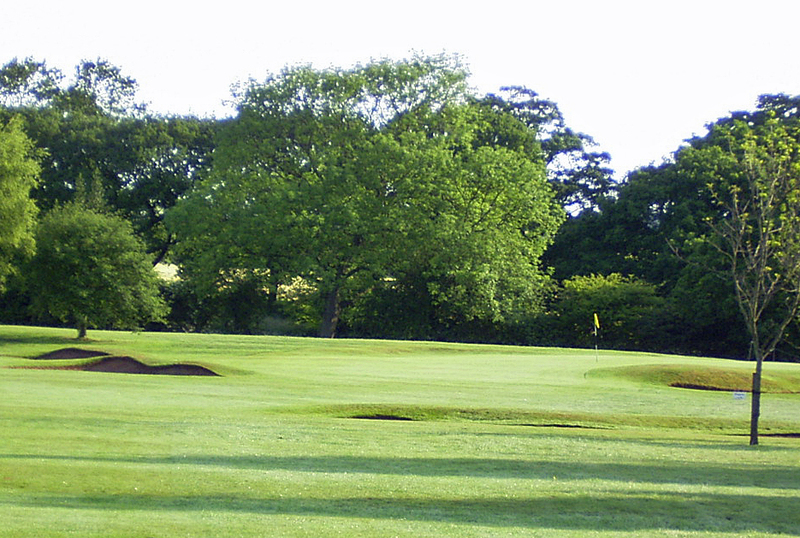 Two bunkers, left and right of the green. 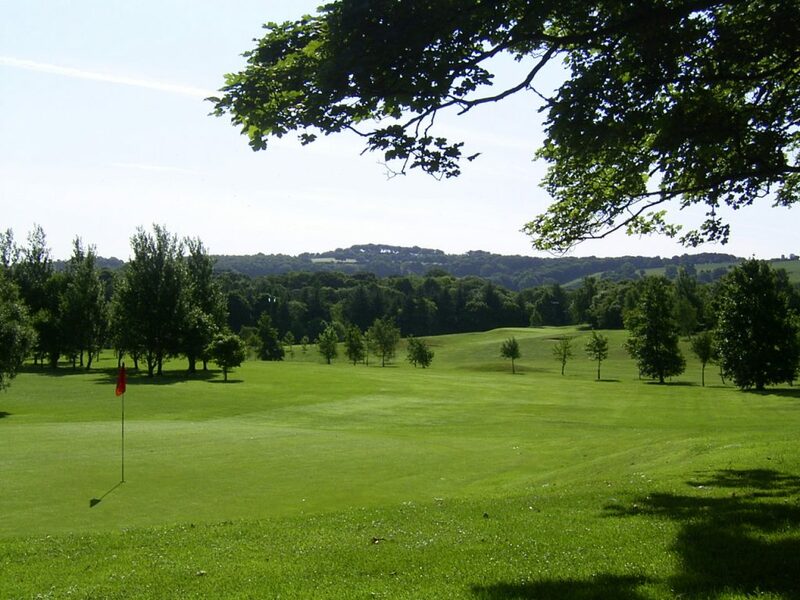 Out of bounds to the rear of the green and serious rough to the right – down the dell! 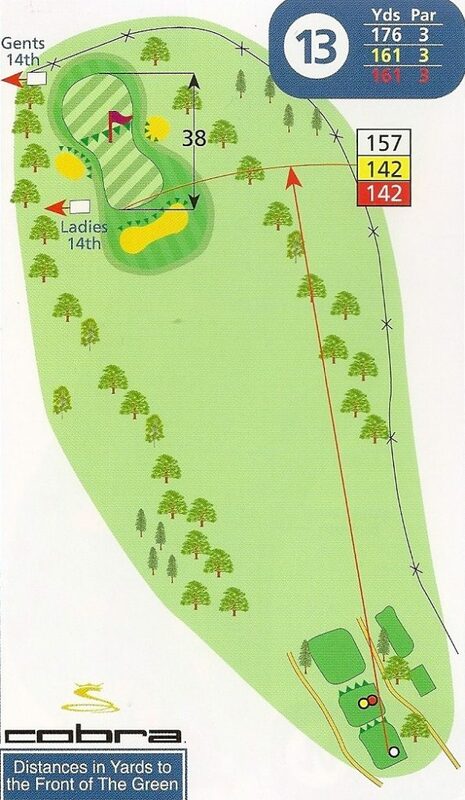 After completing the hole, follow the signs that will take you in front of the 18th tee and across the road to the 12th hole. 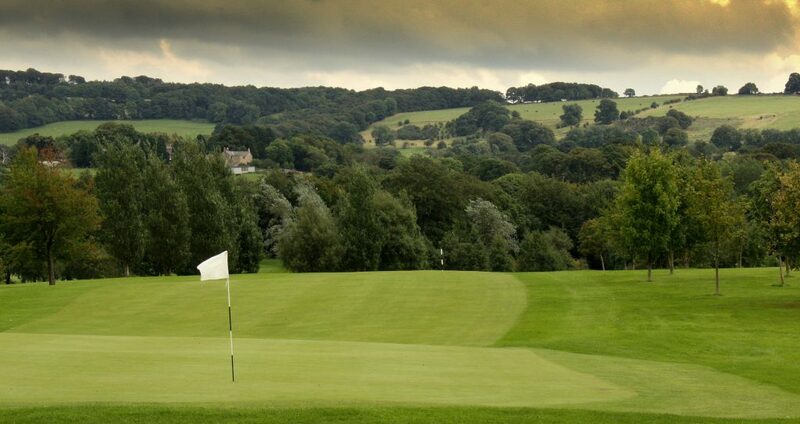 Some big hitters may go for the green but beware of the dangers you face. 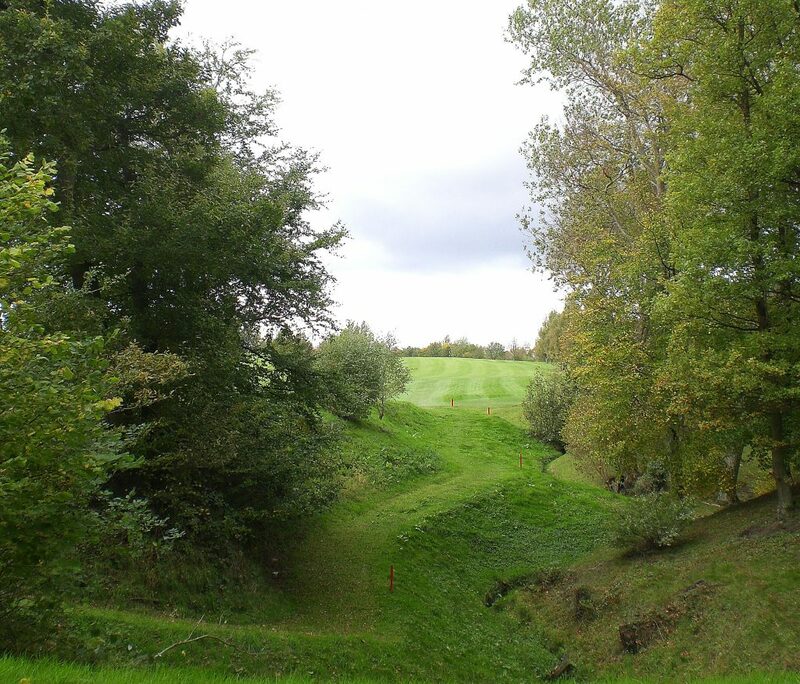 There is a ditch at about 200 yards and several mature trees to overcome before you reach the very small raised green which is very fast! 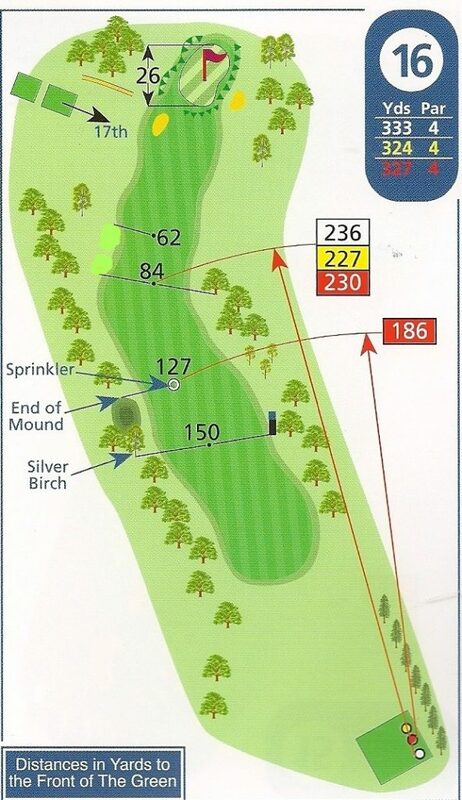 Heavy rough if you overshoot the green. 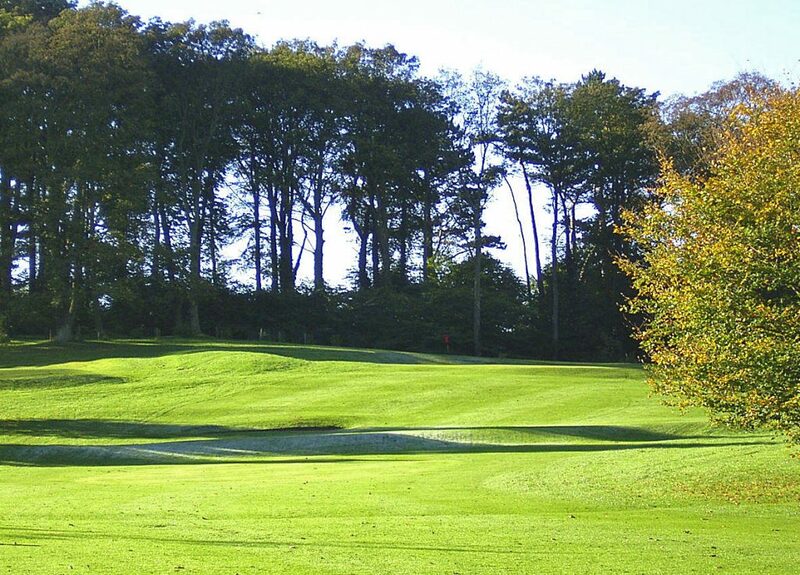 A classic par 3 with the tee box set in mature trees. 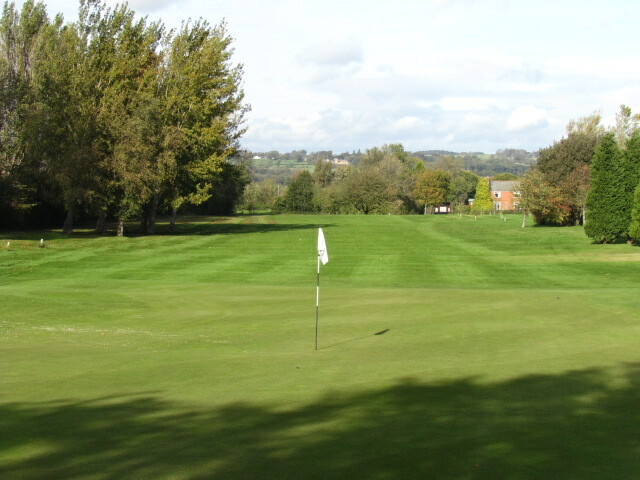 A long narrow green protected by 3 bunkers, to the front, right and left. 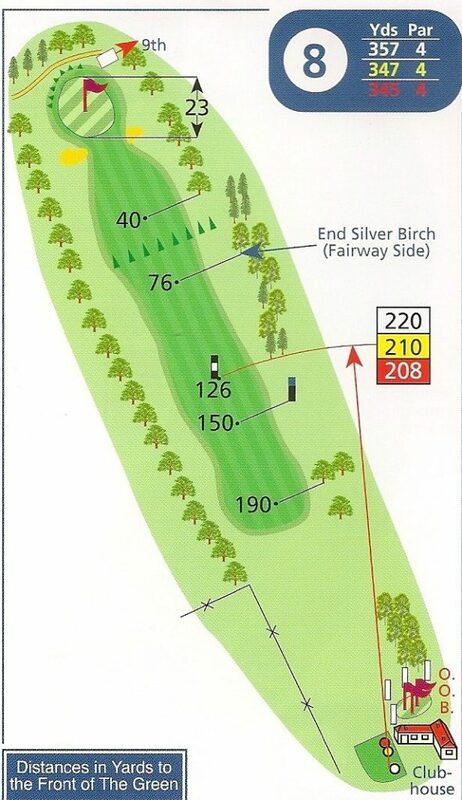 Out of bounds is behind the green. 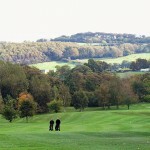 When you have holed out look back – what a setting! 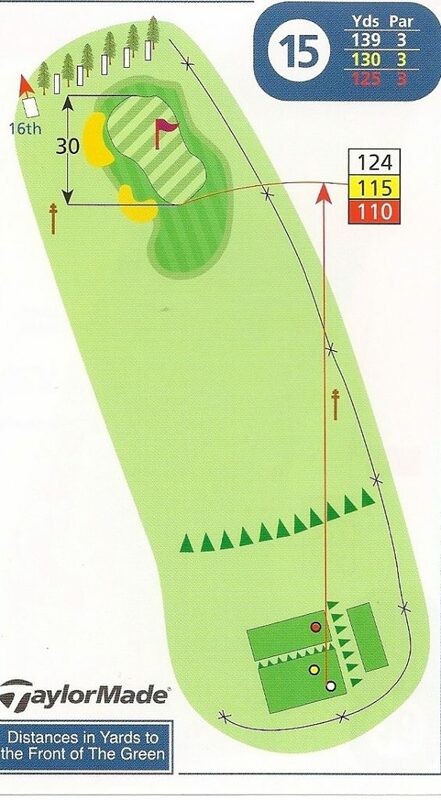 A long par 5 with a blind tee so aim for the centre of the fairway. 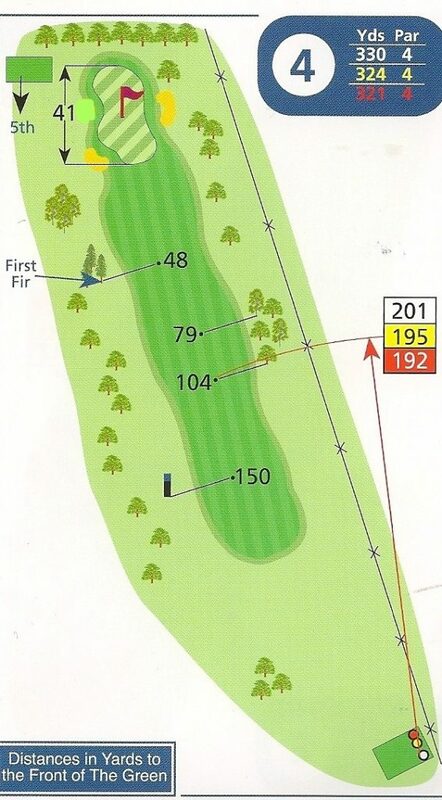 The fairway drops sharply downhill so If you are long enough you may get an extra 50 yards from the drive. The views here are tremendous, stop to take them in. 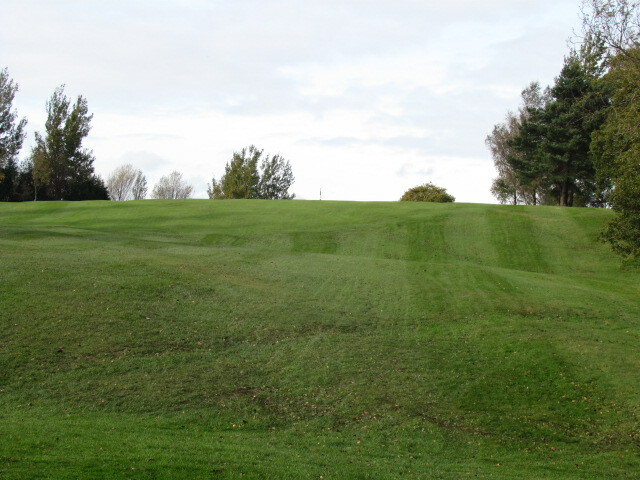 The fairway slopes right to left with two bunkers that have to be negotiated, especially the one in the bottom left corner. 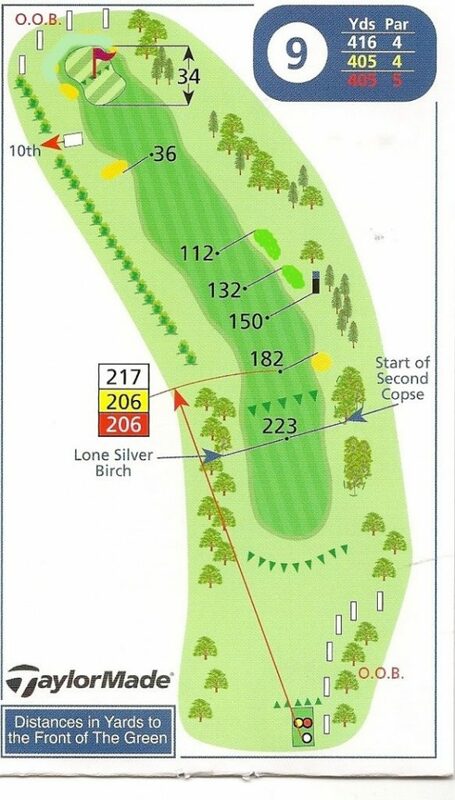 Those who go for the green in two have to be careful of one small bunker on the hill side. The raised green is long and narrow and reading it, is another story! 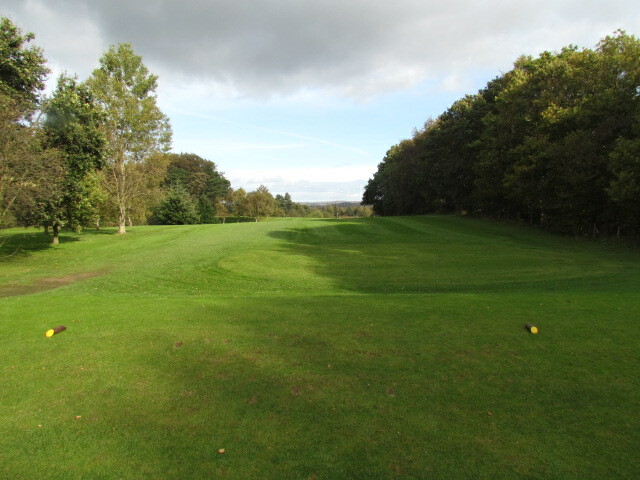 A short inviting 3 par from the raised tee but be careful there is out of bounds behind and to the right of the green. 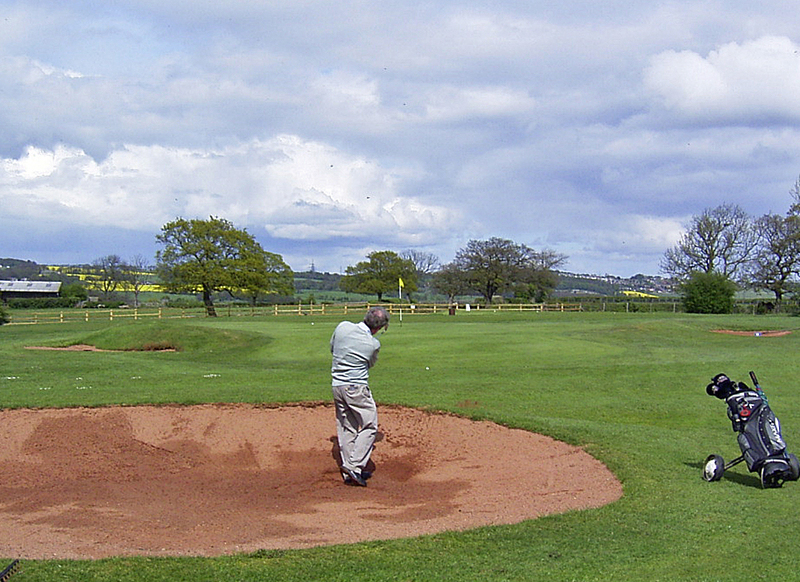 Two bunkers protect the green which slopes right to left and front to back – a birdie chance! 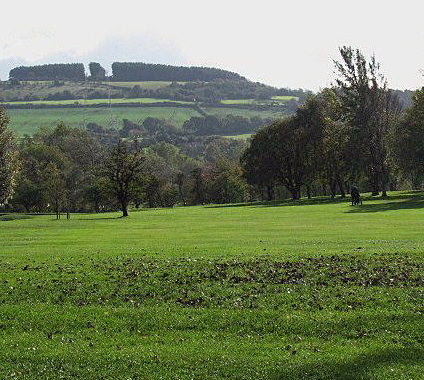 A raised tee offers great views across the course and Tyne valley. 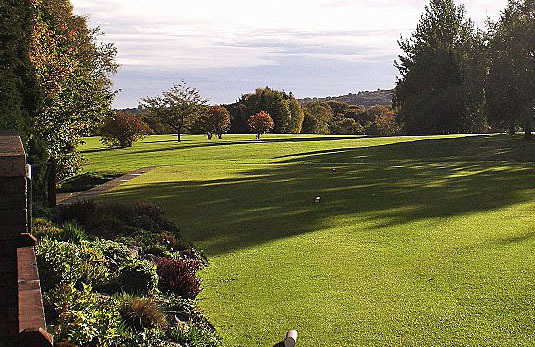 A sharp dog leg left and unless you can reach the corner your second shot is played across the rough to a long narrow green that slopes left to right. 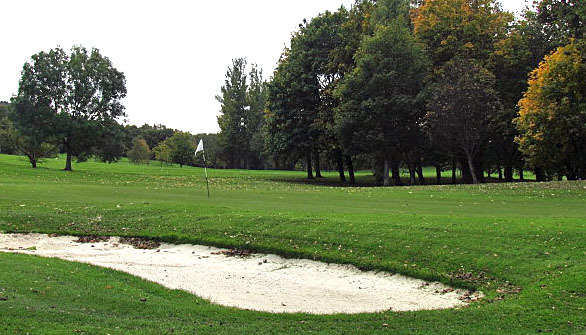 A bunker will collect the ball that rolls right across the green. 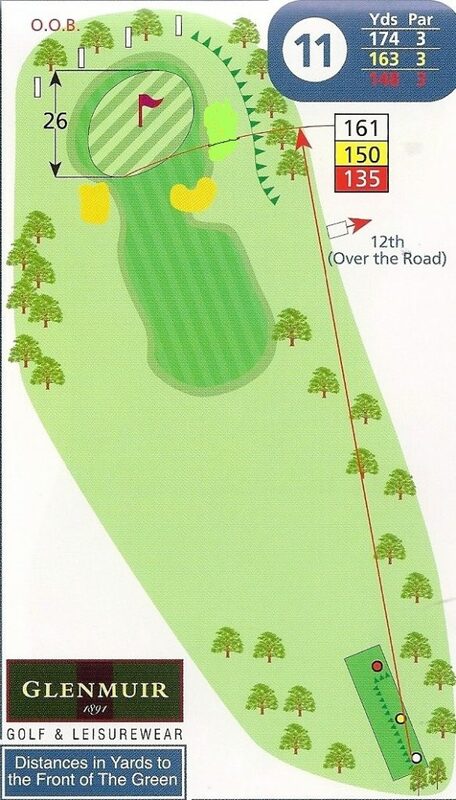 To reach the 18th tee box you have to cross the road. 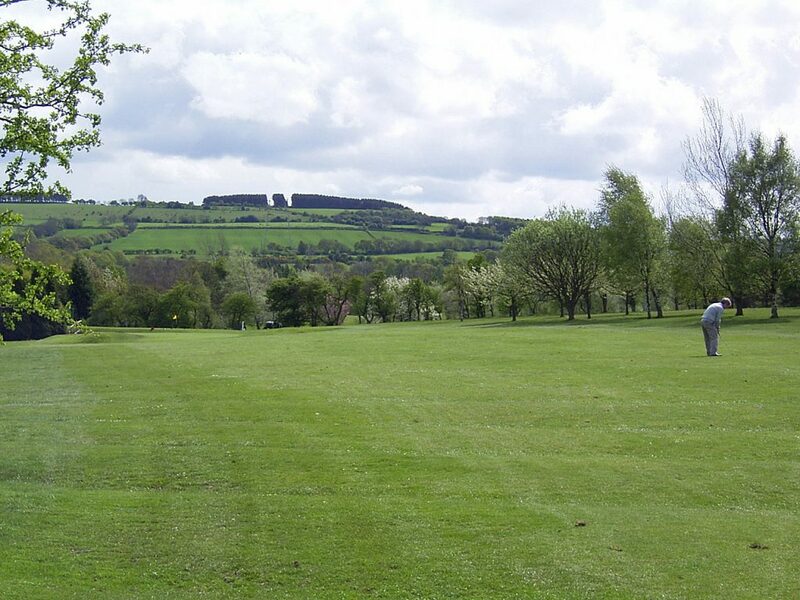 Uphill slight dog-leg and into the prevailing wind – it is a challenging finishing hole! 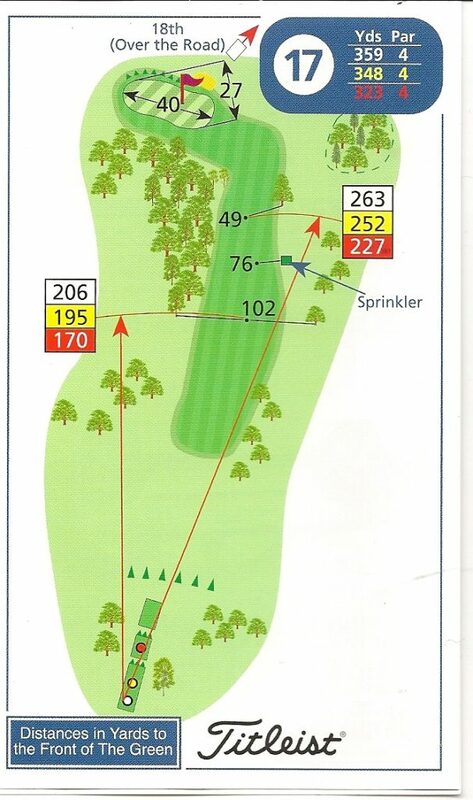 Out of bounds and out of bounds on the left with mature trees on the right can make it a difficult drive. 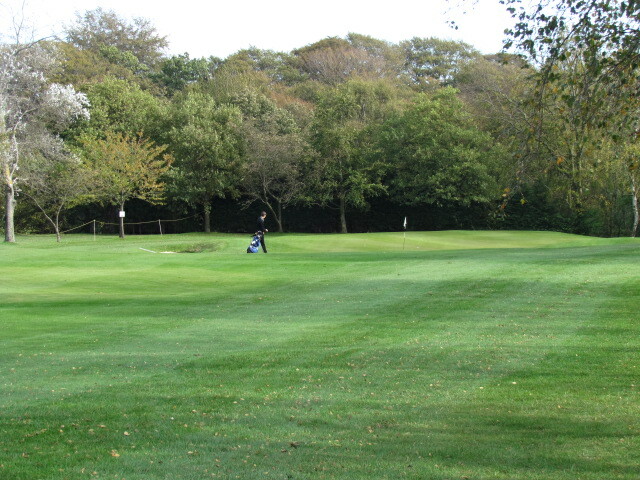 A small pot bunker protects the green. 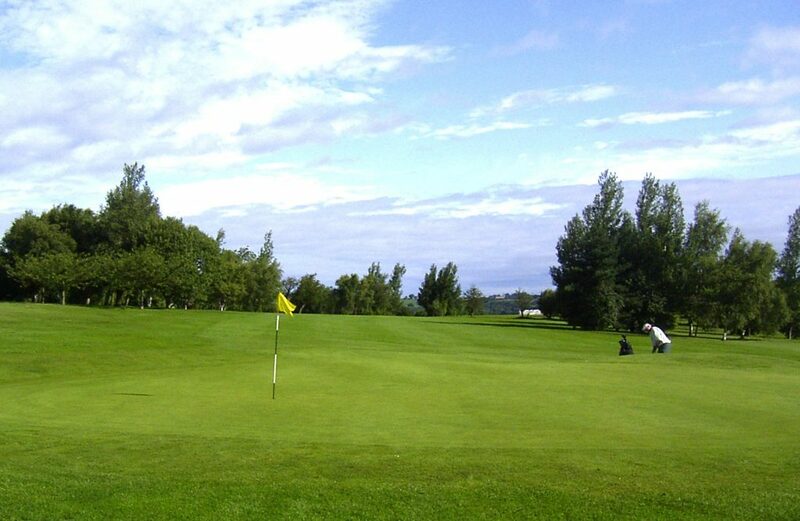 Try and leave an uphill putt on this fast green. 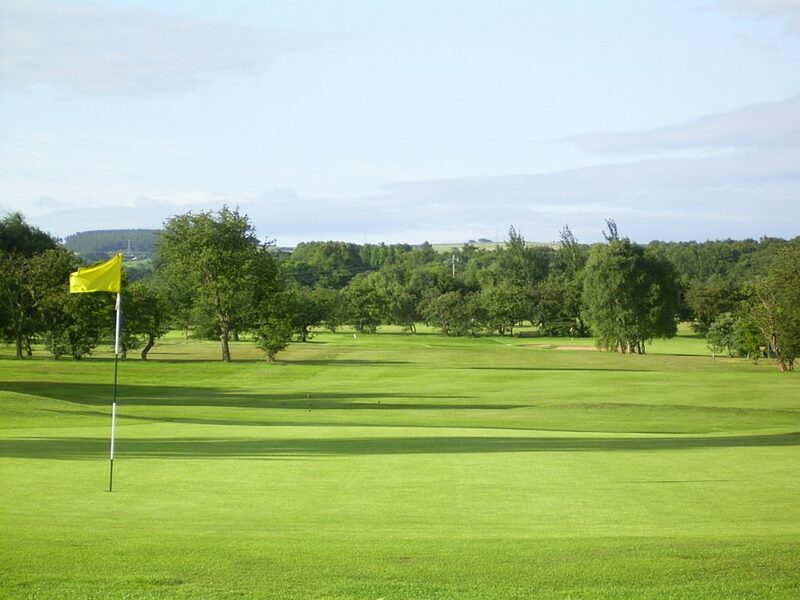 When you have finished sit on the seat behind the green, complete your score card and take in the views – Paradise. Mon - Fri about 8.00 a.m.